Cape Kaleidoscopes One of the Largest Selections of Kaleidoscopes in New England... Retail Shop and Robust Online Store This nicely designed and attractive boutique is located in a prime spot on North Street in upscale, busy and tourist-laden Mashpee Commons (www.mashpeecommons.com). It has great visibility and entrances from the street and from the large parking area to the rear. 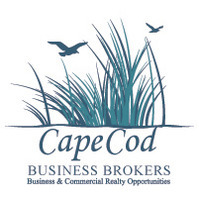 It is surrounded by a variety of busy shops catering to the needs, whims and whimsies of year-round and summer residents and the gaggle of visitors and tourists attracted to Mashpee Commons. Cape Kaleidoscopes is what its name suggests�a shop specializing in Kaleidoscopes and has the largest selection of kaleidoscopes in New England. About 90% of the kaleidoscopes consist of handcrafted styles, typically by artisans who have devoted decades to master the intricacies of the internal special effects and the artistry of the exteriors of their kaleidoscopes. 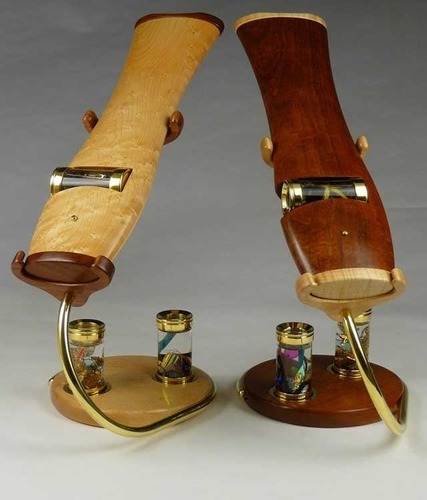 These special kaleidoscopes crafted in wood, glass, metal and mixed media are beautiful to display as �interactive art�. Prices range from as little as $14 or $15 to hundreds or even thousands of dollars. Cape Kaleidoscopes also carries a selection of �kaleidoscope inspired� gifts such as glass mosaic mirrors, photo shadow boxes and several lines of affordable jewelry, adjustable sand art and a very unique line miniature kaleidoscope jewelry. The business has a major presence on social media with active accounts on Facebook, Twitter, YouTube and more. There is a robust interactive website - www.capekaleidoscopes.com - which features a sophisticated online store which generates about 25% of sales and presents a ready opportunity to generate additional sales. There is a powerful POS system in place which syncs the inventory and price changes for all items in the store and on the website in real time. The rent is about $1,300 per month. The store is fully equipped with attractive and functional furnishings and fixtures including, but not limited to display cases, shelving, counter cases, POS system and credit card terminals. In addition there is a functional artisan workshop area. About 35% of annual sales are during the summer months and the shop also does very well during holiday season, with December being the busiest month of the year. The business, including all equipment, physical assets, location, signage and furnishings, fixtures and other leasehold improvements are included in the sale, as is the trade name and all proprietary marketing and promotional materials. Also included is the website and online store and social media accounts. The owner will provide 30 days orientation and training and be available on a reasonable basis to answer questions and provide advice for three months. The asking price for this turn-key business is $25,000 plus the wholesale cost of inventory.